What should be a simple task of changing from one Covered California health plan to a new one is proving to be no easy switch. The Covered California CalHEERS internet based program seems incapable of handling the switch between health plans for residents. People are complaining of retroactively cancelled policies, odd effective dates and a system unable to handle simple billing issues. Ms. Blunt determined that her original Bronze Plan with a $5,000 deductible wasn’t right for her so she decided to switch to the Silver Plan. She called Covered California in late January and asked to be enrolled in a new health plan. 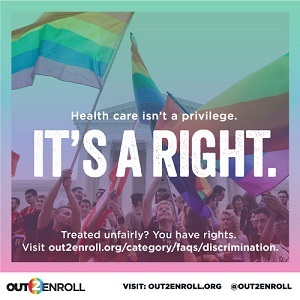 This shouldn’t be a big deal since we are still in open enrollment. Covered California terminated her participation in her original Bronze Plan for January. The carrier of the Bronze Plan is now refusing to honor any of her health care expenses she incurred in January even though she made her premium payment on time and paid the $60 copayments for her office visits. What should have been a simple change of health plans is turning into a nightmare of finger pointing and shoulder shrugs on the part of the carrier and Covered California. As I have tried to change plans for a client, the only way to do this is to terminate the first plan. This has the unintended consequence, if not done properly, of eliminating the member altogether in the carrier’s database. When the health insurance company is told to terminate enrollment by Covered California, they remove the plan member and any coverage retroactively. This seems to be in direct contradiction to state law that says a health plan must give a member 30 days notice before cancelling the plan. If an enrolled member or agent terminates participation they are prohibited from enrolling in a new plan for 14 days. But if the termination is done by a Covered California staff member, they can terminate it retroactively with no waiting period. The 14 day waiting period might be the key to allow one plan to end properly before the next one begins. For example, if a plan is cancelled on February 25th by the member, they won’t be able to enroll in a new plan until March 12th. The new plan, since enrollment is done before the 15th of the month, will take effect April 1st. For some reason, when the Covered California staff terminates enrollment, it is retroactive so people can enroll in a new plan without applying before the 15th of the month. Unfortunately, the special termination wipes out the previous enrollment leaving the member with no health insurance. Hence, Ms. Blunt is now fighting for her original carrier to pay the health care services she contracted with them to cover. But changing plans by the rule book still doesn’t yield the correct results. Recently when I terminated the participation of a client in one plan and enrolled him in another, Covered California gave us a bad effective date. The health plan confirmation screen shows the plan will be effective March 21st. Health plans must start on the first of the month. The only thing I can think happened is that the fourteen day waiting period after termination would be February 21. But I was trying to enroll the client the in plan prior to February 15th so it would be effective March 1st. Regardless, the effective date should be March 1st or April 1st. Even Covered California is baffled by what their CalHEERS system is doing to people when they terminate one plan to switch to another. The system is too rigid to take into account real world situations. For instance, there is no mechanism built into the system to delay enrollment. 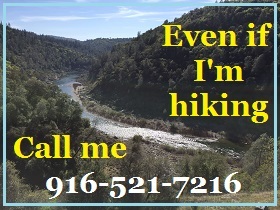 When Covered California failed to enroll my clients for January she had to purchase an off-exchange plan for February. When Covered California finally corrected their error on her first enrollment, the set the plan to be effective…February 1st. So now my client is faced with paying two premiums for one month because Covered California can’t figure out how to delay, by one month, their botched original enrollment. In the real world, a customer service representative could re-work the application to change the effective and payment date. But the Covered California system was designed without the consideration of how people really live their lives. If you are going to change health plans before open enrollment closes. 1. Try and do it at the first of the month to allow for the 14 day waiting period so you can enroll in the new plan before the 15th. 2. 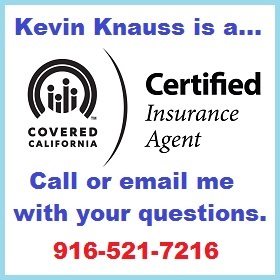 If you must work with Covered California on the phone, ask them if they terminate your current plan will the termination be retroactive and will you lose coverage and have a gap. Your health insurance carrier can’t help you change plans. All the orders come from Covered California. You need to carefully consider all the ramification of changing plans and the timing so as not to create a nightmare of no coverage.